Who is more familiar with injections in the head and neck area than your Dentist? Botox is a trade name for botulinum toxin, which comes in the form of a purified protein. The mechanism of action for Botox is really quite simple. Botox is injected into the facial muscles but really doesn’t affect the muscle at all. Botulinum toxin affects and blocks the transmitters between the motor nerves that innervate the muscle. There is no loss of sensory feeling in the muscles. Once the motor nerve endings are interrupted, the muscle cannot contract. Botox is a muscle relaxer. When that muscle does not contract, the dynamic motion that causes wrinkles in the skin will stop. The skin then starts to smooth out, and in approximately three to ten days after treatment, the skin above those muscles becomes nice and smooth. 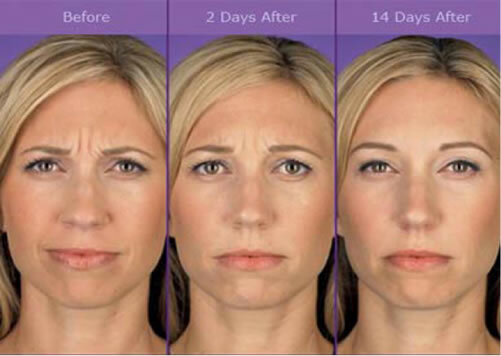 The effects of Botox last for approximately three to four months, at which time the patient needs re-treatment. Years of squinting, concentrating, or frowning can cause your skin to furrow and crease. As your skin becomes less elastic, those moderate to severe frown lines remain—even when your muscles are not contracting. The areas that Botox is commonly used for smoothing of facial wrinkles are the forehead, between the eyes (glabellar region), and around the corners of the eyes (crow’s feet) and around the lips. Botox has important clinical uses as an adjunct in TMJ and bruxism cases, and for patients with chronic TMJ and facial pain. Botox is also used to complement esthetic dentistry cases, as a minimally invasive alternative to surgically treating high lip line cases, denture patients who have trouble adjusting to new dentures, lip augmentation, and has uses in orthodontic cases where retraining of the facial muscles is necessary. With a few tiny injections, BOTOX® Cosmetic blocks nerve impulses to the injected muscles, which reduces the muscle activity that causes those persistent 1′s, 11′s, or 111′s to form. This reduced muscle activity helps reduce the appearance of moderate to severe frown lines between your brows. 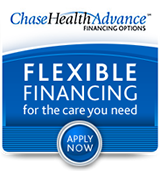 Whether you’re a 1, 11, or 111, BOTOX® Cosmetic may be right for you. Ask our doctor to find out!